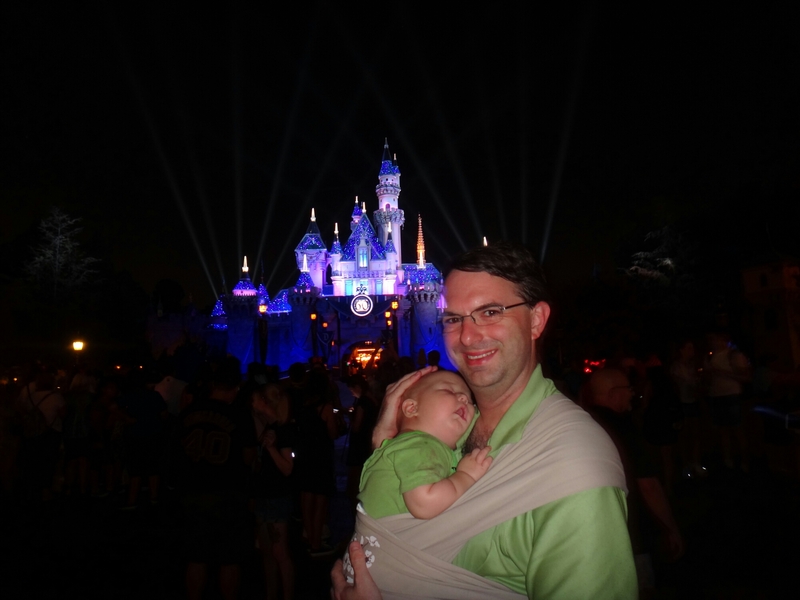 Theme Parks – Taking Mini-man to Disneyland! Disneyland – the happiest place on earth. I have a lot of happy memories visiting this park as a child. Now that I am a mom I couldn’t wait to take mini-man to visit these special places. We started the day slow by checking into our hotel and dropping off our things. It was a very hot day in Anaheim so we took extra time to make sure we all had our sunscreen on and water bottles were filled. Once we were ready we walked over to Disneyland! (I purposely got a hotel within walking distance to the park – it was closer than the Disney hotels and was waaaaaay cheaper). We went for a classic start of the day – a grand circle tour of the magic kingdom aboard the Disneyland Railroad. Mini-man was confounded at first but started to enjoy it – until the dinosaur scene, which he really didn’t like. After the train, we got off and headed toward the castle. It was a pretty crowded day. Damon and I got frustrated pretty quickly as we were all starting to over heat. 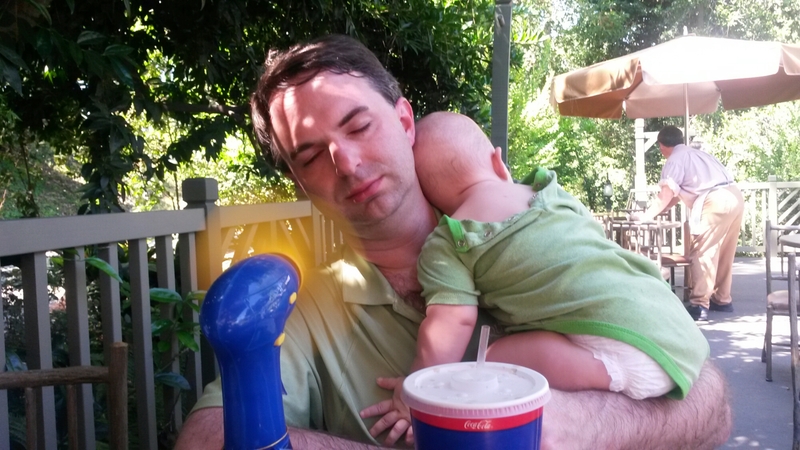 Instead of for`aging ahead, like we might have done pre-kids, we stopped at the Hungry Bear Restaurant for food and to cool down. Mini-man got in a quick nap which gave Damon and me time to talk and figure out our next steps. We realized we couldn’t tackle the park like we used to. We needed to slow down and take things ride by ride. 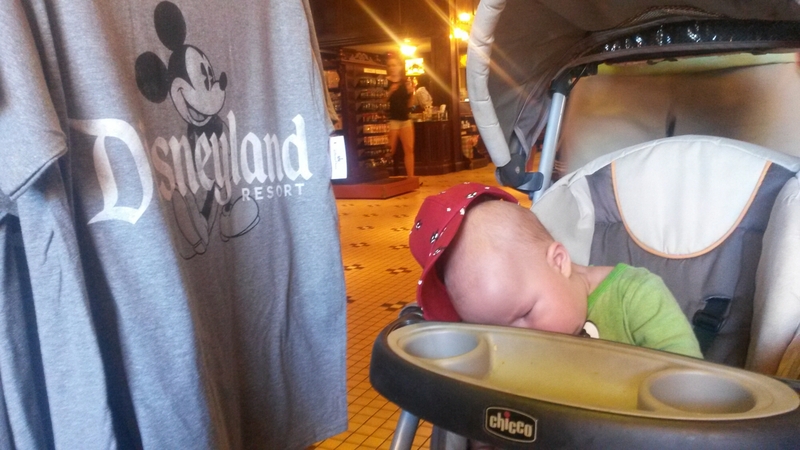 When mini-man woke up we headed to the Winnie the Pooh ride. I thought mini-man would like it since kids like Winnie the Pooh. Judging by mini-mans face at the end of the ride he didn’t quite get it. 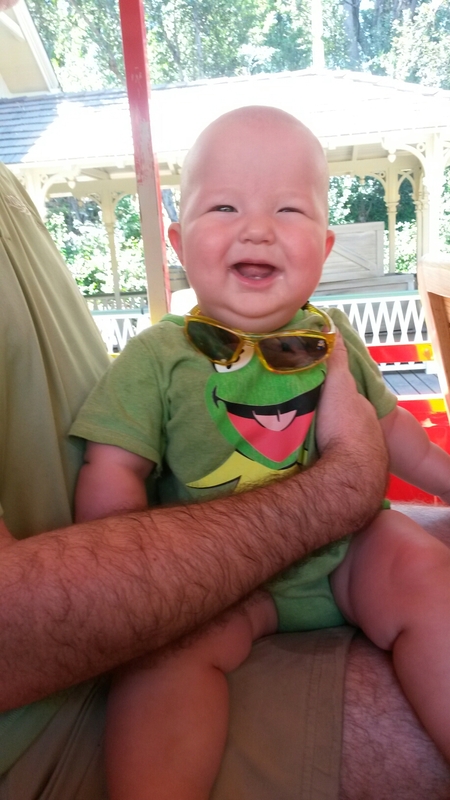 I then realized that indoor rides might be a bit advanced for a six-month old, so we headed Fantasyland for some of the open-aired rides. Success! 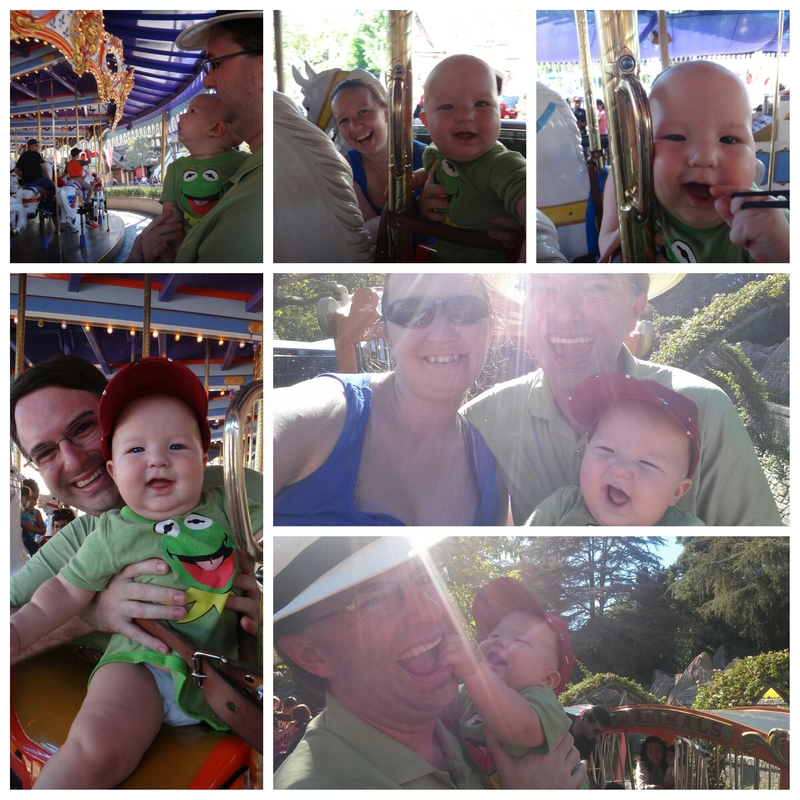 We rode the carousel and Casey Jr. and mini-man loved them both! He couldn’t get enough of looking at all of the scenery happening around him. Now, normally, on a pre-kid trip three rides would not have taken that long. However this took several hours. This combined with the heat and moving extra weight equal three exhausted individuals. We headed back to the hotel to rest up for an evening trip. After wonderful naps we headed back to the park. I really wanted to see the new parade, Paint the Night, and the fireworks show. What I wasn’t expecting were the massive crowds. Mini-man became very overwhelmed by all the people around him. I hoped if we found a quiet spot we could enjoy the parade. What I didn’t take into account was how loud the parade was. I really never realized how loud the parade was. Maybe I’m old now but it was really loud and it freaked out mini-man. We decided it was better all around to leave the park. What made matters worse was as we left the fireworks started and the banging freaked mini-man out even more. This was the final nail in the coffin. I walked as fast as I could toward the exit cuddling a crying mini-man on the way. By the time we made it out of the park mini-man was fast asleep. All-in-all it was a good day. I have some good memories and learned some great lessons. Check out my next post to see my lessons learned.